I blinked my eyes and the month of February is g-o-n-e! No more winter work. I found myself busy today updating bulletin boards and taking down anything that resembled 'winter work.' Bring on the sunshine & warm days! 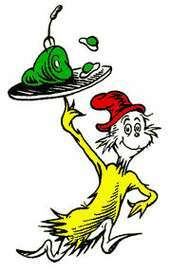 A crazy, but fun week for Dr. Seuss' birthday. We kicked the week off with green eggs & 'spam.' 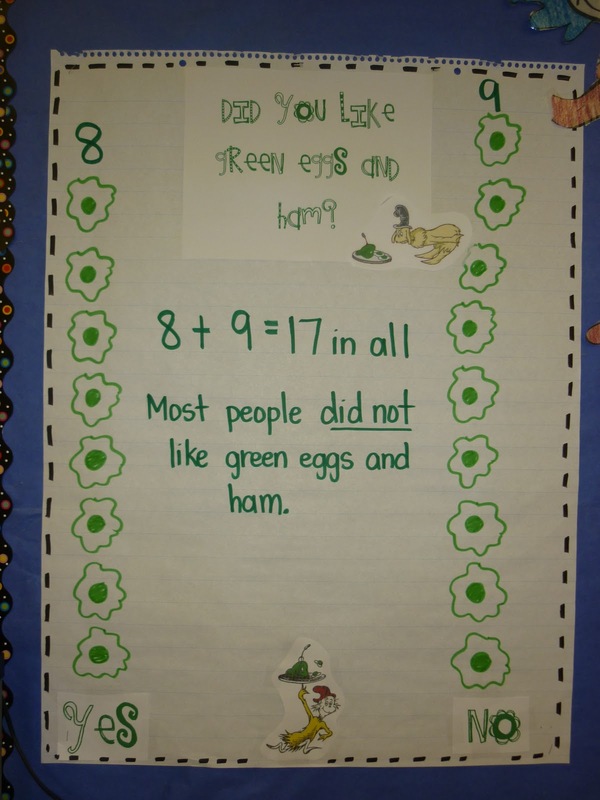 Which, on a side note, I thought the kiddos would turn their noses up to, but surprisingly, they enjoyed the spam more than the eggs! Go figure! We enjoyed a "Seussical Production" on Monday at the coliseum. 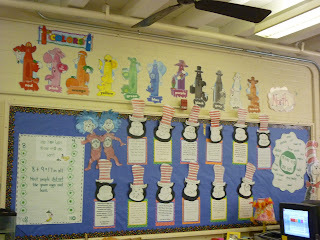 Thursday was our first grade Dr. Seuss character parade. We had Thing 1's & Thing 2's, Cat in the Hats, Whos here and there, our very own Marvin K. Mooney, Sam-I-Am, and more! Mrs. Gaulden and I rocked it out as Horton the elephant and Maisy. I was called a chicken more times that I care to think of! 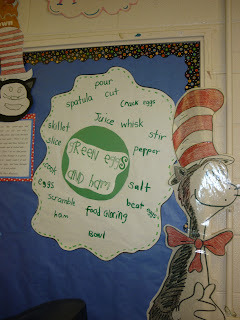 Students typed their responses to whether or not they liked green eggs and ham and created thier own Cat-In-the-Hats that explain why reading is important. 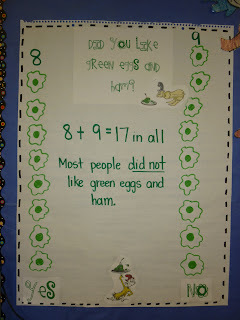 All in all, a good, busy (as always) week in a place called first grade.